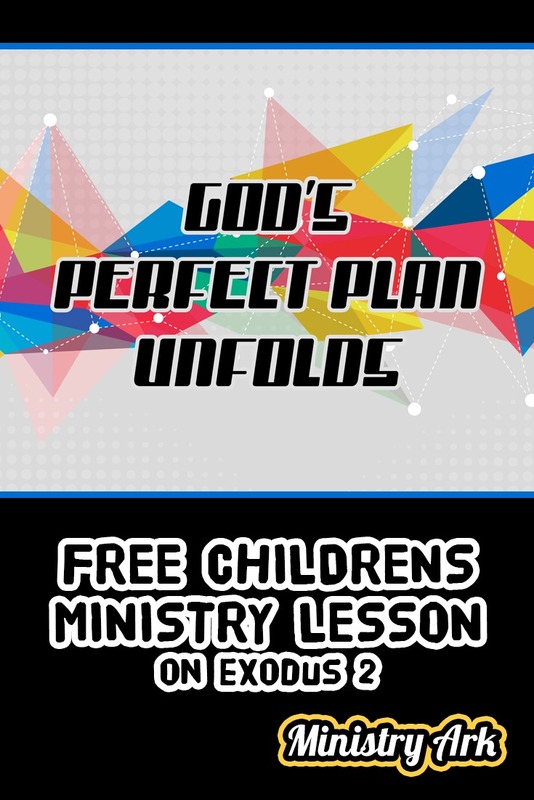 AIM: The aim of the ‘God’s Perfect Plan Unfolds’ Childrens Lesson (Exodus 2) is to help children see that when God’s perfect plan is in action amazing things will take place – only He is able to perform such a miraculous plan. 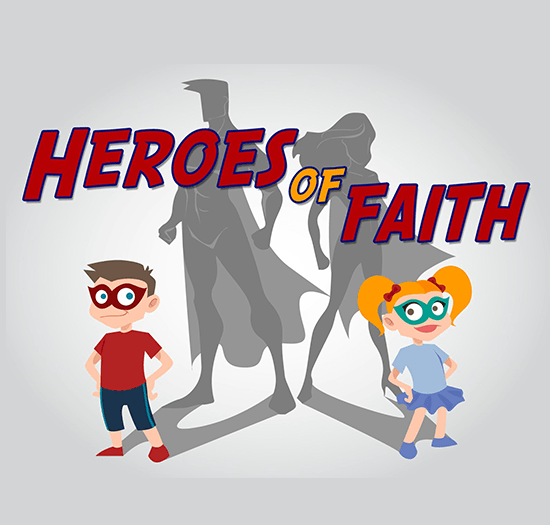 To encourage children to walk in the plans of God for their lives. 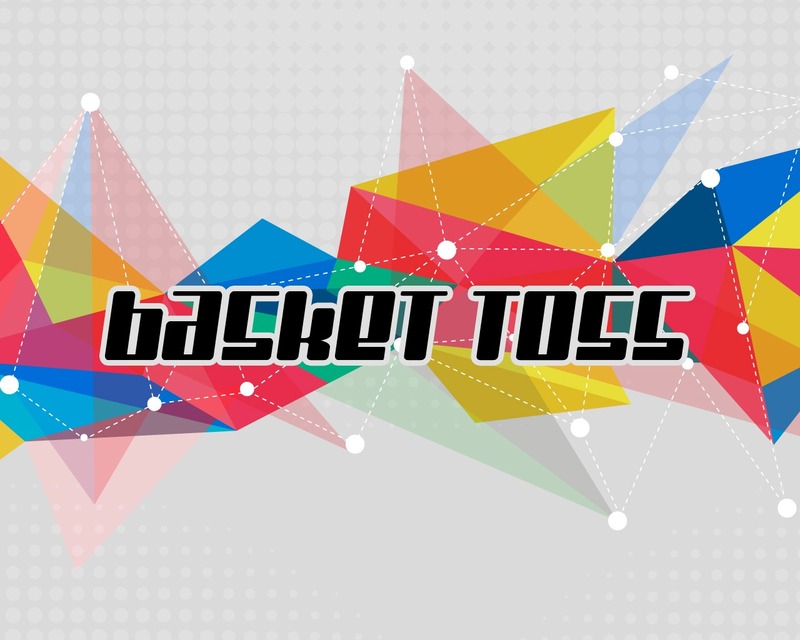 1) Basket Toss. Have a basket in the centre of the room. Have children stand in different corners of the room (for older children they should stand further away). Each child or team should be represented by a different color ball/s. Have children throw the balls into the basket. The child/team with the most balls in the basket is the winner. 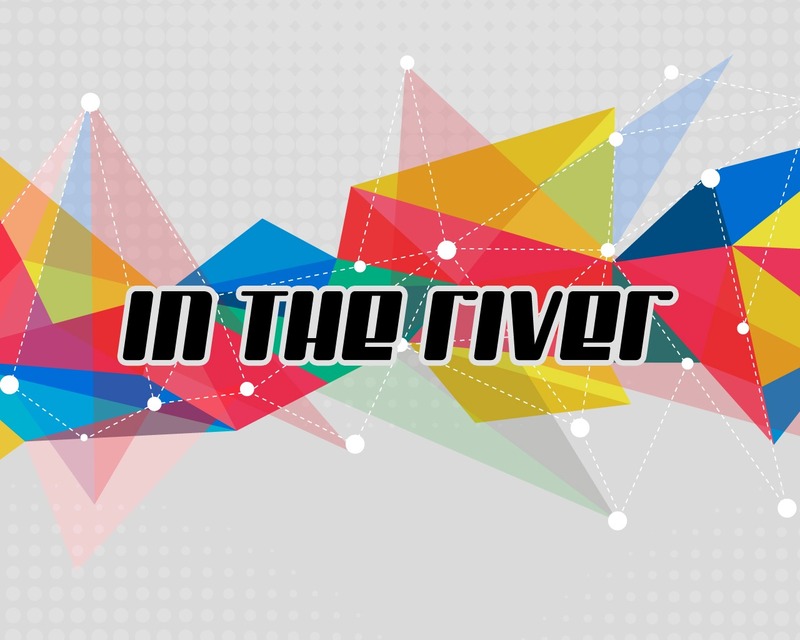 2) In the River. Tape down two parallel lines on the floor. This represents your river. Have children stand with their toes on one of the lines (the edge of the river). When the leader says ‘In the River’ the children must jump with both feet into the river. When the leader says ‘Out the River’ the children must jump with both feet out of the river. The leader can say this fast or slow. However, if the leader says anything else the children must not move. If they do they are out. The last child standing is the winner. BIG VERSE: “For I know the plans I have for you,” declares the Lord, “plans to prosper you and not to harm you, plans to give you hope and a future.” Jeremiah 29:11. View powerpoint here. Read Exodus 2 and watch the scene from Prince of Egypt – discuss how like/unlike the bible story the scene is. 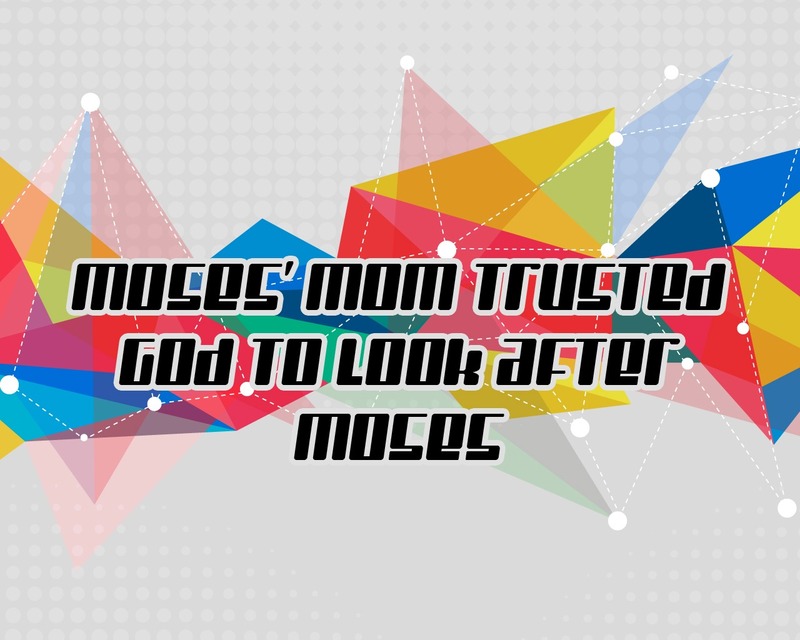 1) MOSES’ MOM TRUSTED GOD TO LOOK AFTER MOSES. Skit: trusting someone to look after your favorite toy / DVD. View powerpoint here. 1: I’m so glad I’ve got this new (Toy/gadget). It’s brand new! The best one available! I can’t wait to watch/play with it! 2: Yeah, it’s so cool! Everyone wants one of those! 1: I know! I’ve gotta make sure it doesn’t get scratched or ruined. I’d be so upset if something happened to it. It is my favorite thing after all! 3: Hey, do you want to come to the park with me? 2: No thanks, I’m having too much fun here! 2: I can look after it if you want? 1: But its my favorite thing, are you sure you can look after it properly?! You’re not going to lose it or break it are you? 2: No, why?! … do you trust me to look after it? Say: You know, just like the character in that skit chose to trust their friend with their favorite toy Moses’ mom chose to trust God with her son Moses. How did they do that? You might be thinking. Well, they decided to do what they could do to protect Moses and trust that God would do the rest. So his mom wrapped Moses up safely into a basket, safe away from anyone that might try to kill him. She couldn’t do any more than that. Moses’ mom had to trust that God would look after him once he was in the river. She had done all she could do, so although it would be scary she had to believe that God wanted Moses to be safe and well looked after too. 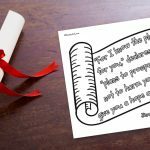 Do you trust God with your things and with the people in your life like Moses’ mom did? 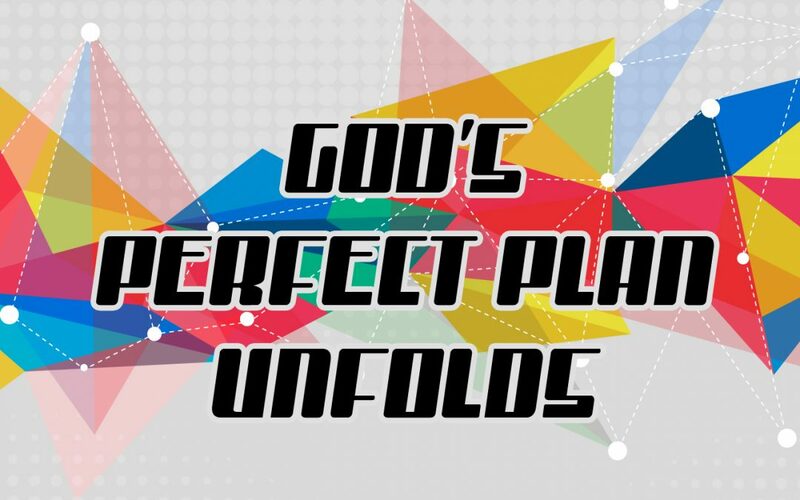 2) ONLY GOD COULD HAVE CREATED SUCH A PERFECT PLAN! Use a movie clip that shows a plan that goes wrong… Woody’s plan to save the penguin Wheezy in Toy Story 2 /the plan to escape the Sunnyside Daycare in Toy Story 3 or Kevin’s plan to save his house from robbers in Home Alone. View powerpoint here. Say: Have you ever had a plan to do something that failed? Just like Woody/Kevin (depending on the clip you used) we can plan and plan and plan but sometimes there are things that will arise that we did not know were going to happen. 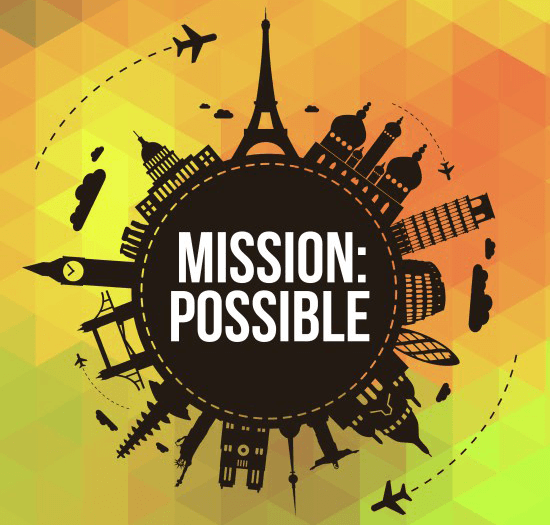 Problems get in the way, obstacles arise, and although things can be better when we have planned – our plans don’t always succeed (share a time when something happened that you had not accounted for and how your plans changed). We know that in everything God works for the good of those who love him. [a]They are the people God called, because that was his plan. The amazing thing is that once Moses’ mother had left the baby Moses she could plan no more. All her planning had come to an end and she simply had to trust God to look after her baby. God had helped her to get him to safety into the river and now God would have to do the rest. If there was only her plan in play then Moses might have died in the river. He could have been found or hurt. Yet we see that God had a greater plan for Moses! Who would have thought that the Pharaoh’s daughter would have been near the river bathing at such a time?! She was there at exactly the right time. 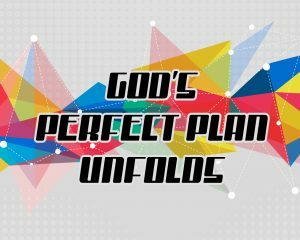 Nobody planned this – except God! He knows everything – including where everybody is in the world and what they are doing – He even knows the future! To top it all off Moses’ sister had been following the basket and happened to ask the Pharoah’s daughter if she could fetch a Hebrew lady to look after the baby. She said yes and Miriam went to get his OWN mother! So Moses’ mum got to see her baby grow up and even got paid to look after him! How amazing is that?! You know…. 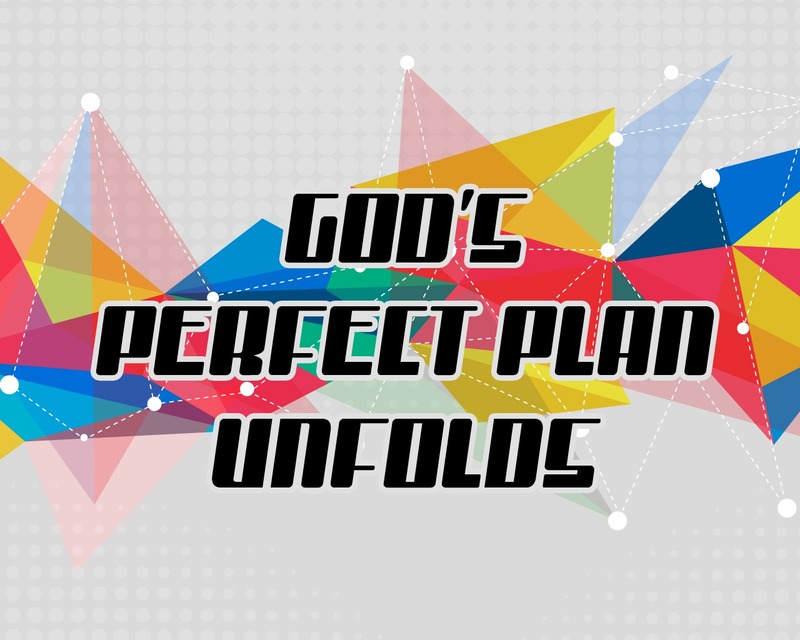 our plans can be great but God’s plans are incredible and mind blowing! There may be some difficult things we have to face, but when we are following God’s plan we know that He will lead us through to an amazing place in the end! People that we trust to take us somewhere – bus driver//tram driver//pilot//travel guide//captain of a ship (on a powerpoint). View title powerpoint here. Say: What do all of these people have in common? Exactly, they are drivers, they all take us somewhere. Now, when you get on the bus, you have to trust that the driver is able and willing to take you where you want to go. You expect him to take you to the right place. It’s a little bit like that with God. Just like Moses’ mom, God asks us to trust Him with our life. We let him go in the driving seat. He makes all the decisions about where we will go and what we will do. That can be a little scary at times. But when we remember the story of Moses, we can see that when you trust God and His plan (and not our own) then His plan is WAY more amazing and exciting! Show the picture of Jesus, the girl and the teddy. Perhaps you have planned out a certain path for your life. You know what you want to do and where you want to be and you are willing to get yourself there. Just like the girl in the picture you have your eyes set on what you want. 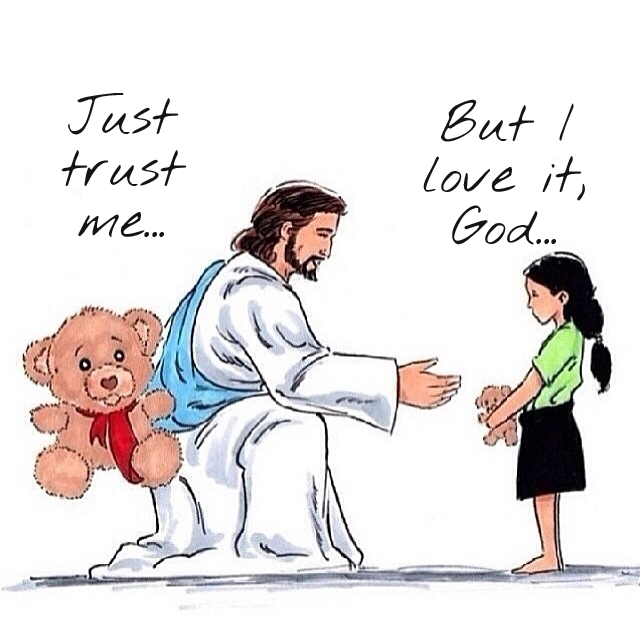 But maybe you don’t realize that what God has planned is much bigger and better. Well, maybe its time to put the map of your life away, to put away those things that you want and trust that God has a far greater map and greater things in store for you that will blow your mind! 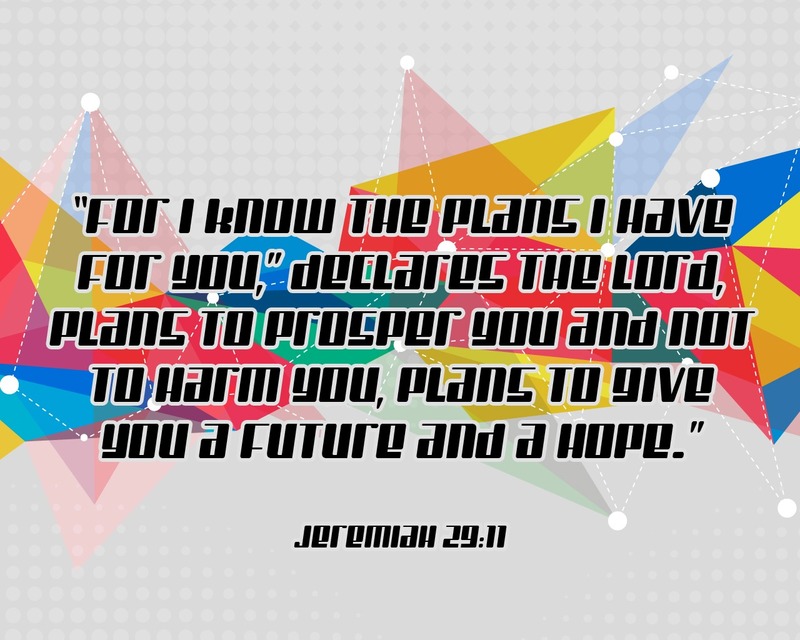 What does your verse say about Gods plans? 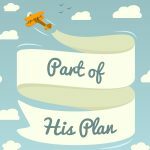 What does the verse say about man’s plans? After reading your verse, whose plan would you like for your life? Have a basket full of cut out words/faces expressing feelings. The basket serves as a visual for the children to think about what it would be like for Moses’ mother. 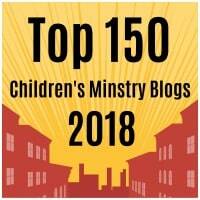 Have children take turns in reaching into the basket and taking a word out. Then ask them to say whether their chosen word would reflect their feeling. How would it feel to be Moses’ mum and to prepare the basket and watch him float away in a basket? How would it feel to be paid to look after your own son when you had once feared he was going to be killed or you would never see him again? Just like God had a good plan for Moses he has a good plan for you and me too! We will make a craft to help us think about all the plans God has for us and all the good things He has already done for us. 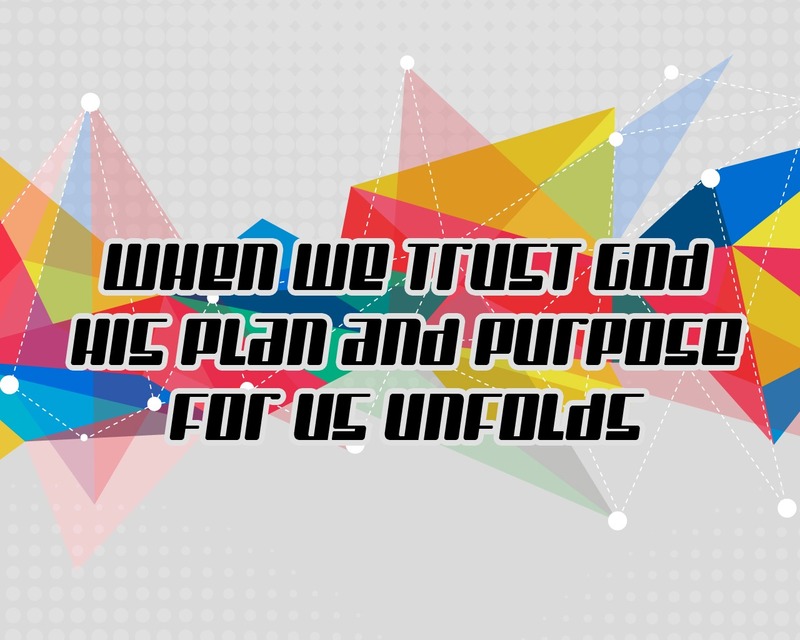 As we create let’s thank God for the good plans He has and ask Him to help us trust Him to step into them. 1) Make a Moses basket picture with ‘God has a good plan for me’ written on it. Use colored paper and card to cut out shapes to create the picture. 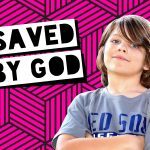 2) Gods Plan for Me box – decorate a box with sequins, buttons, stickers etc and then have the children take it home and put photos, tickets and memorabilia inside to make it a memory box of all the amazing things God has done.